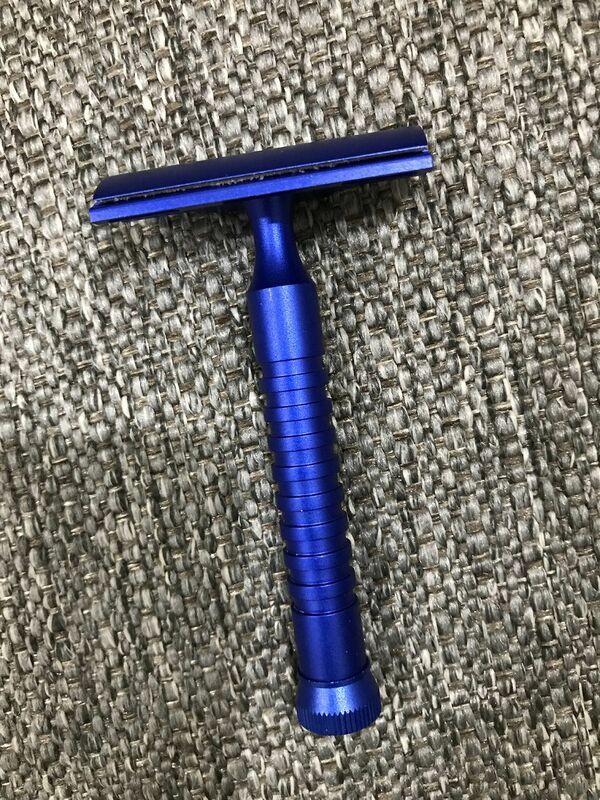 I am releasing for sale the Electric Blue Hawk AC type razor. This particular Hawk is out of production and may never be released again per Joe at Italian Barber. In perfect like new condition it is a very good shaver. If you never used an Artist Club type razor and want to get your feet wet this is the one. Comes with an almost full cartridge of Feather Pro blades.